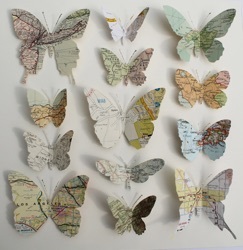 Beautiful pieces of art made from vintage maps. 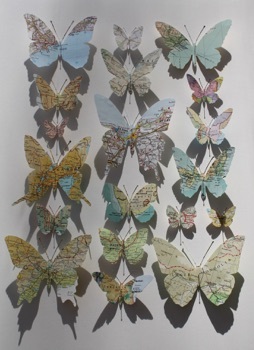 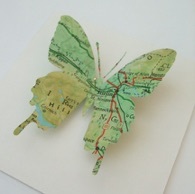 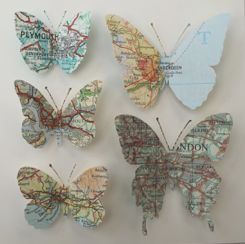 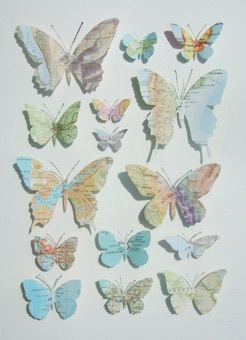 Each butterfly is carefully hand cut from a map of your location choice. 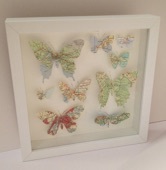 Finished with a delicate gold pin through the centre of each butterfly. 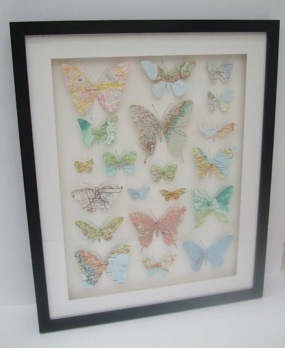 Mounted on high quality cartridge paper in a box frame of your colour choice. 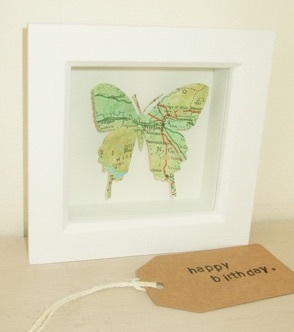 Single butterfly cut from a vintage map of a special location of your choice. 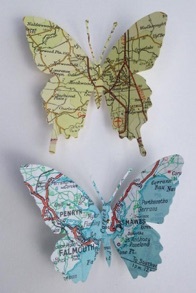 Two butterflies positioned 1 above the other. 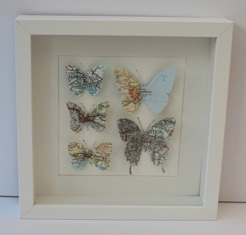 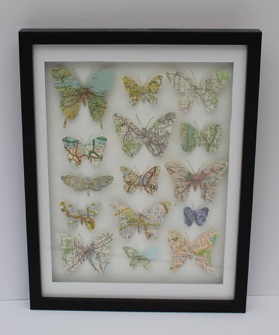 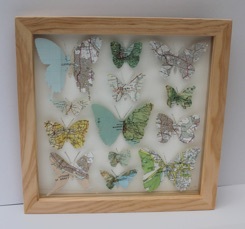 Butterflies hand cut from original vintage maps of your chosen special locations, framed in a square box frame in your chosen size and colour. 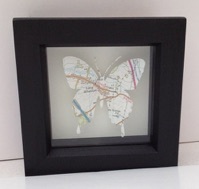 Framed in a white, black or wood box frame. 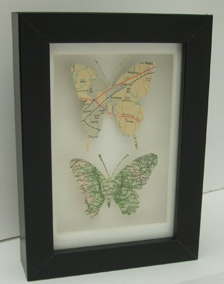 Framed in a white, black or wood frame.